Unfortunately for me, I don't have any great success stories of my own to share with you this week... But, I would like to take a little bit of time to congratulation my nephew Gabe on a couple awesome catches he made recently. Gabe and my dad had a great trip to the river this past week. 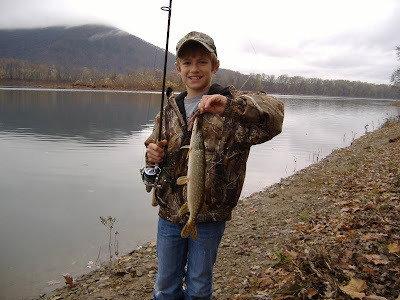 They didn't catch a lot of fish, but it was quality over quan tity. 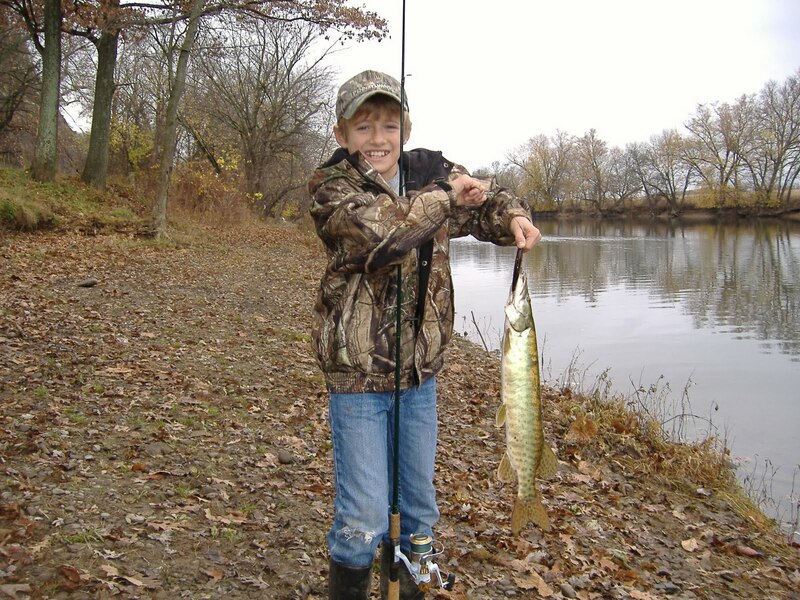 Gabe caught 2 walleyes, a northern pike, and his first musky! All in one morning... incredible! Gabe spends a lot of time fishing throughout the year, and has made some excellent catches. He has a lot of patience and fishes hard. 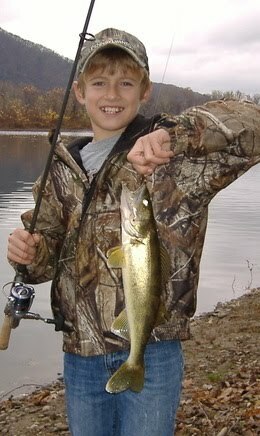 Needless to say, he earned these fish. I have a couple of the photos from their trip, so I'll post them for you here. Enjoy. Personally, I did get out a couple times this past week. Dad and I hit the river one day and caught a few walleyes and a couple of bass. 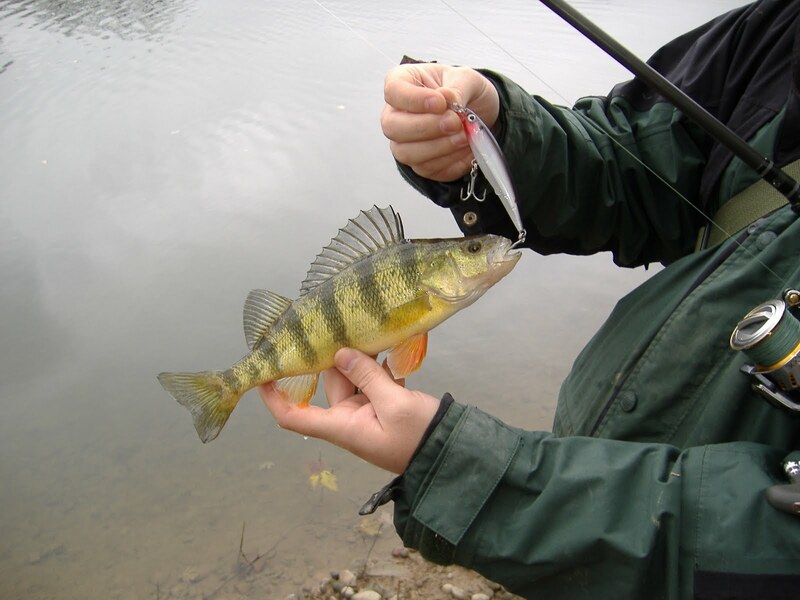 I also caught a nice, fat yellow perch, which was a first for me from the river. I also found an exciting new spot to fish, and I was lucky enough to land a few fat smallies there one afternoon before work. This spot should be a producer for both bass and walleyes when the conditions are right, and I'm excited to spend some time fishing it in the near future. PA antlered deer season starts next Monday, so this week I will most likely be spending most of my spare time getting prepared to whack a big buck, ha ha. Still, I'm never sure when the fishing urge might strike... So hopefully I'll have some good stories and reports to share with you soon. I wish you all good luck if you get out there, and maybe I'll see you in the woods or on the water. Thanks for reading.